The urban forest plays an important role in Stows landscape. 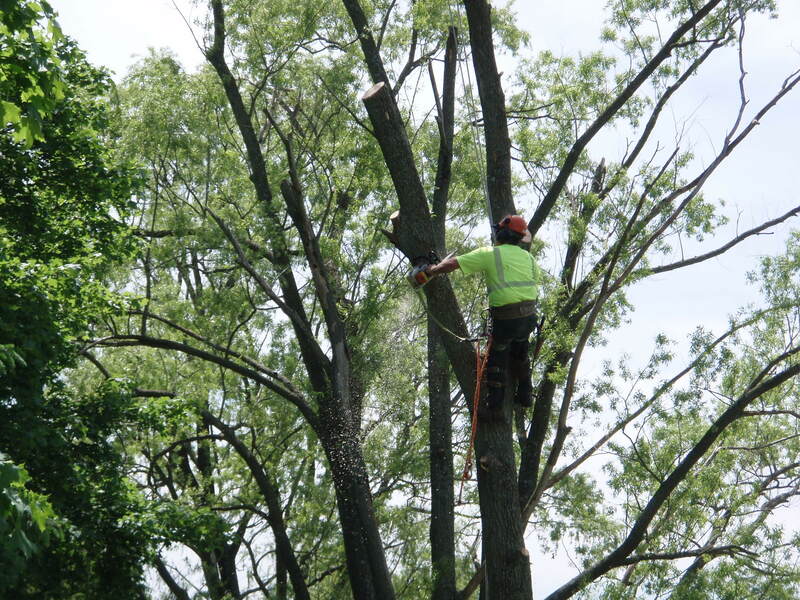 The City of Stow Urban Forestry Department is responsible for the planting, maintenance and removal of all trees in the City right-of-way as well as the review, approval and inspection of vegetative plantings and trees at new commercial, industrial and multifamily sites as required by City Council. Join us as we celebrate trees at the annual Stow Tree Festival, hosted this year but the Stow-Munroe Falls Public Library. Crafts, Story Time, Refreshments and more! 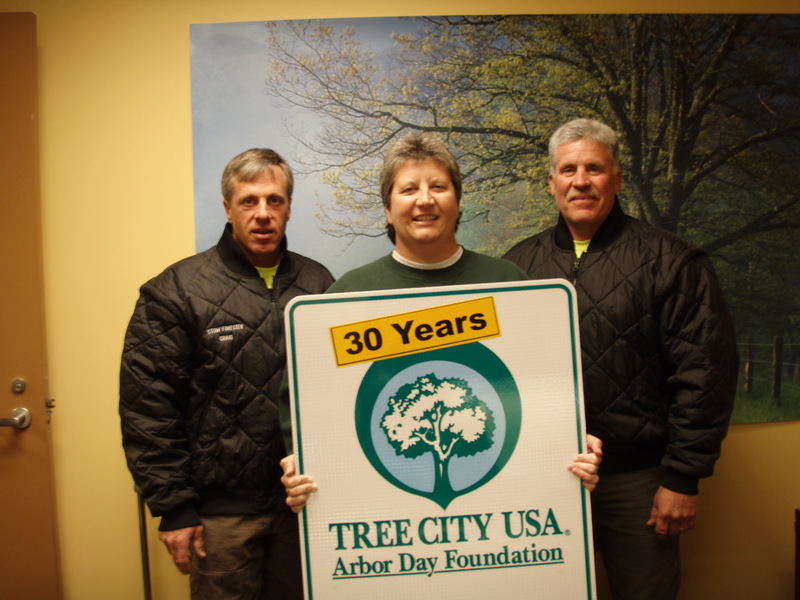 Stow has been named a Tree City USA Community by the National Arbor Day Foundation for our support and achievements in protecting trees and woodlands. It is the 39th year Stow has received this national recognition! The Urban Forestry Commission is comprised of Stow resident volunteers who are appointed for 5 year terms by the Mayor and confirmed by Council. Their purpose is outlined in the mission statement. To provide the citizens of Stow with environmental, economic, aesthetic and social benefits of an actively managed sustainable urban forest by employing best management practices. The City of Stow and the Stow Urban Forestry Commission are pleased to announce the reactivation of the Memorial Tree Planting Program. Planting a tree is a beautiful and lasting way to honor a friend or memorialize a loved one and is a perfect gift for a birthday, graduation, wedding or retirement. In addition to the many benefits a tree provides, a tree is a daily reminder of the cycle of life and brings a lifetime of beauty to the community. The cost of each tree is $200, which includes purchase of the tree, mulch, watering bag, and labor of City employees to plant and maintain the tree. Applicants can also install a small, ground-mounted memorial plaque at their cost. For more information, click here. For an application, click here . To register online click here for the Memorial Tree Program. Street trees are an important part of our environment. They are aesthetically pleasing and add to the value of the property. Every time a new home is built in Stow on a public street that has sidewalks and/or curbs, the builder is required to pay a street tree fee. This fee allows the City to plant trees in the tree lawn. Each street is assigned a specific variety of tree. Consideration is given to growth habit, insect and disease resistance, location of utility wires, and general character of the neighborhood. Trees are generally spaced 50 ft. apart; however, special consideration must be given to corner lots, fire hydrant location, mailboxes, drive approaches and traffic regulatory signs. Once the new home is completed, the lawn is graded and the adjacent lots have homes built on them, the City hires a contractor to plant the appropriate tree(s), which are guaranteed for one year from the original planting date against death or decline due to insects or disease. The guarantee does not cover mechanical injury (lawn mowers, weed eaters) or damage due to other causes. Each street tree signifies the Mayor’s commitment to a greener Stow. 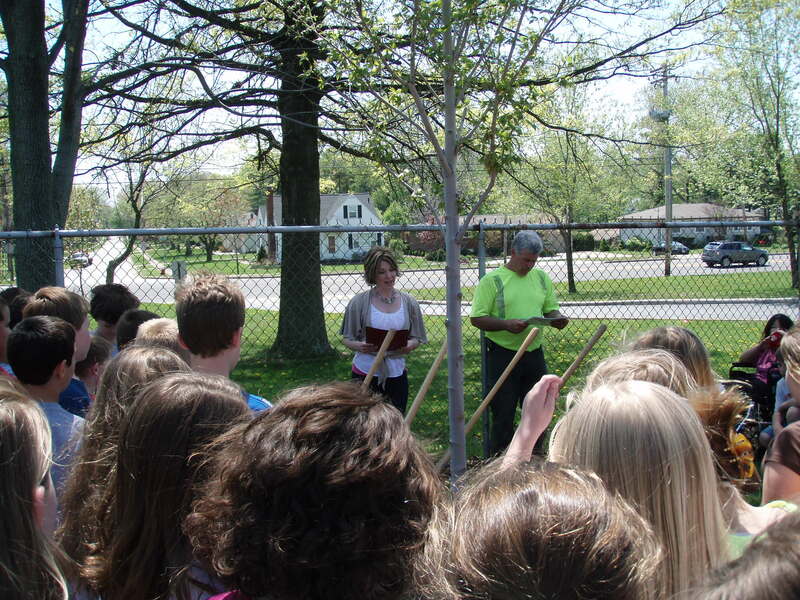 The Urban Forestry Department plants in the fall and in the spring. 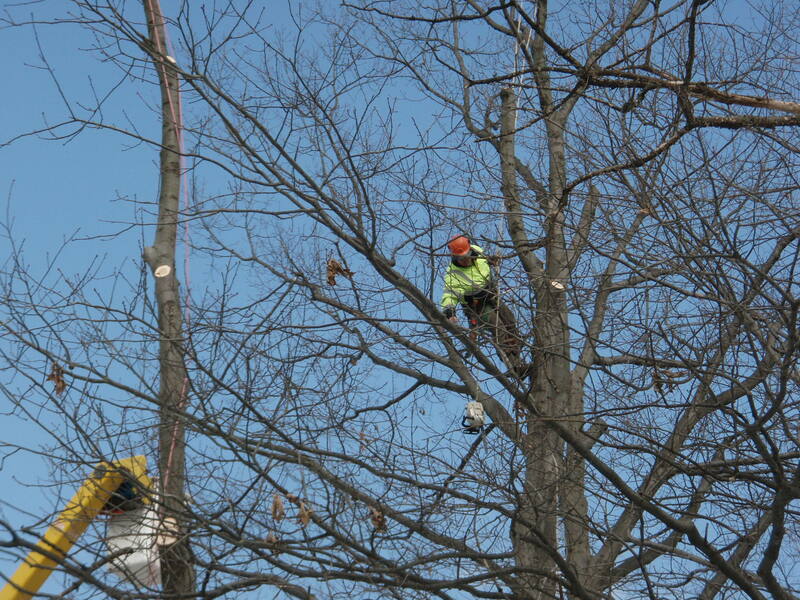 All trees are maintained by the urban foresters. 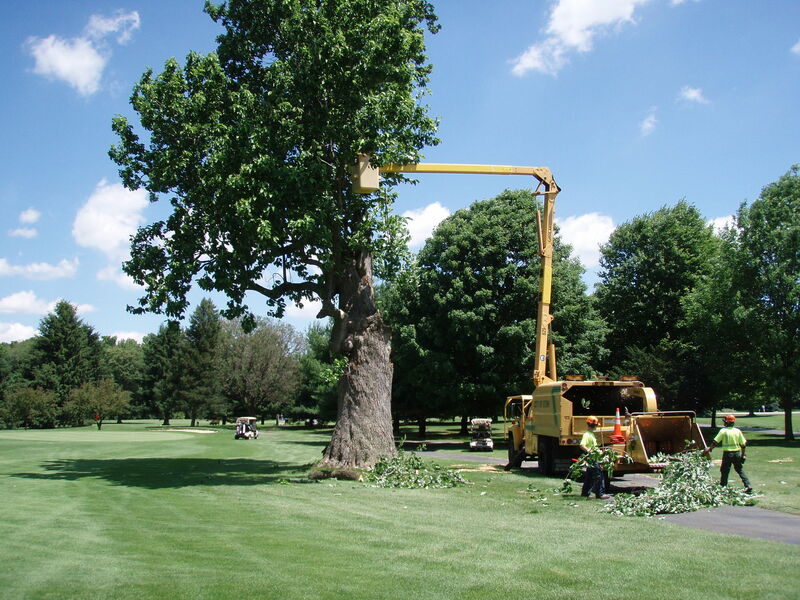 Our maintenance program includes pruning, disease control, removals, and storm damage repairs.